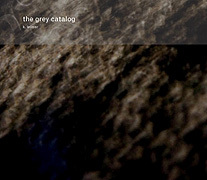 Putting music into an unfulfilling emptiness, The Grey Catalog (54'21") is a gentle album - yet we walk away from it with our brains smoldering a bit. A CD designed for playing late at night, even when it is at its most energetic, our restless traveler K Leimer presents 15 tracks from an intriguing sonic palette. Masterful in the relationship of sound to sense, The Grey Catalog dwells in a much darker realm than Ambient Music usually ventures into. Different than the run of the mill mystic or dreamer, Leimer has acquired a talent - and is ever in exploration of its limits. Plunging the listener into the world he tried to comprehend for the two years preceding this album's release, an escalating string ensemble mourns amidst a grainy, in-tune steam leak and sustaining mutant samples. The grit and glow of digital distortion grinds beneath elegantly reverberating grand piano notes - as a crunching electric bass plucks a slow motion jam of anchoring cool. Swishing metallic washes sigh above crumbling key notes and squelching telephone voices, and helps make The Grey Catalog as stimulating to the ear as it is to the mind. Combining the dreadful fatalism of Paul Schutze, with the spiritual undertow of Brian Eno, this work is continuously engaging. Sound connects everything, more so than the visual, and the many dramatic moments found on The Grey Catalog add up to something substantial. It demonstrates that at this point Leimer's creative abilities are at a veteran's level. It offers the perfect musical vehicle for those lost in the fog of Ambient Music, feel too smart for Jazz, long for form in the experimental, or wish for more originality from new chamber music. 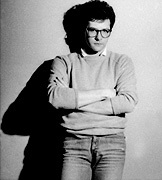 If you are late to the work of K Leimer, there is plenty here to tempt you into hearing more.